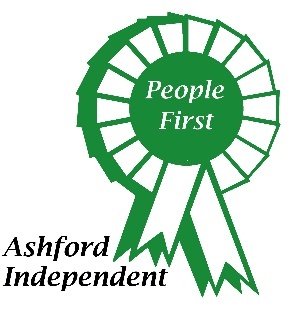 Perhaps Cllr Iliffe should come and join us at Ashford Independents, as we share the firm believe there is NO place for national party politics in local government. Local people should always be the priority in the decision making process. 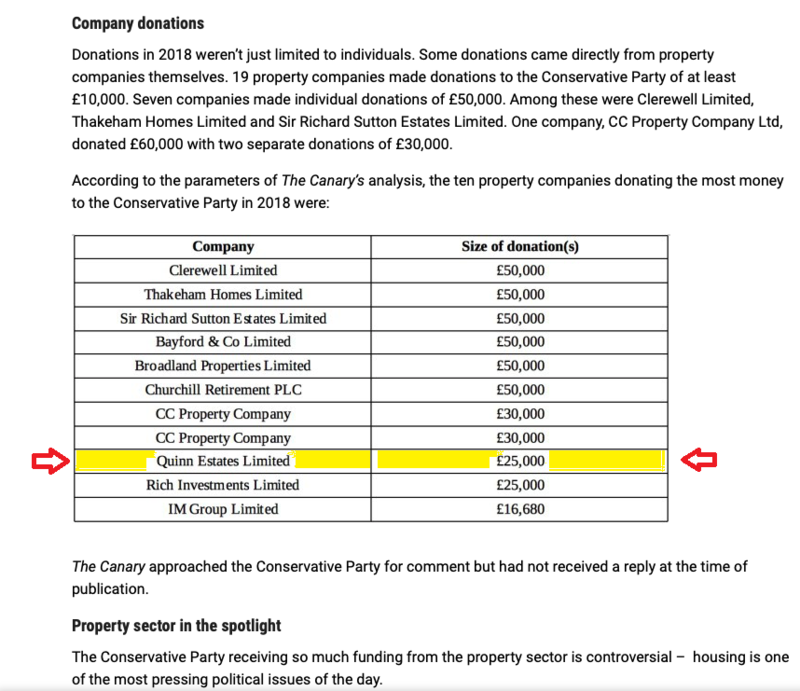 So, Mr Iliffe, should you come knocking, our door is always open! 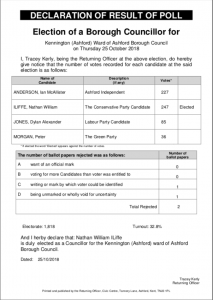 After a well fought campaign in Kennington AI candidate Ian Anderson fell just 20 votes short of gaining the seat. 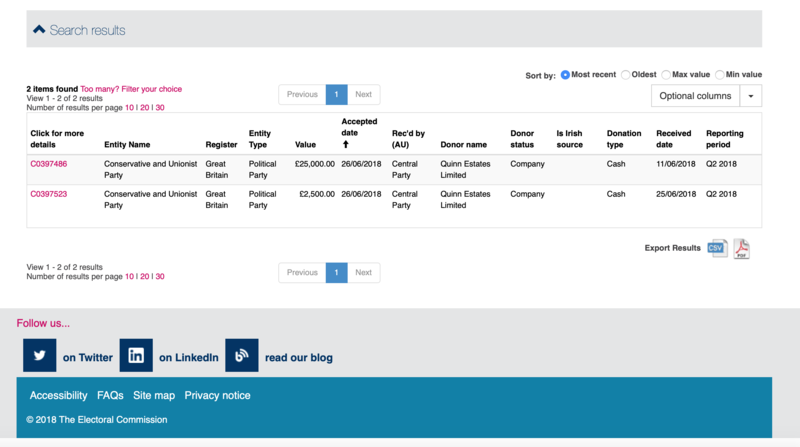 A quick search on the Electoral Commission website reveals donations from Quinn Estates Limited to the Conservative Party totalling over £25,000. 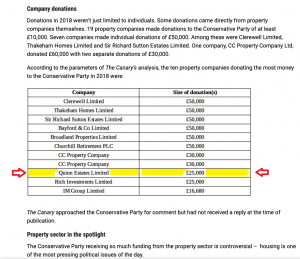 Below is an article published on The Canary Website – an independent media site, highlighting the shocking statistics of Developer donations to Political groups. 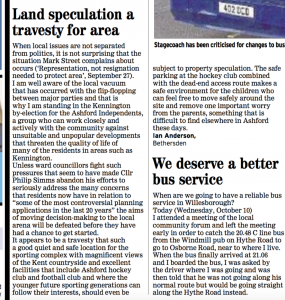 Read the full article from below …..
Ian has lived with his wife in Ashford Borough for 35 years. 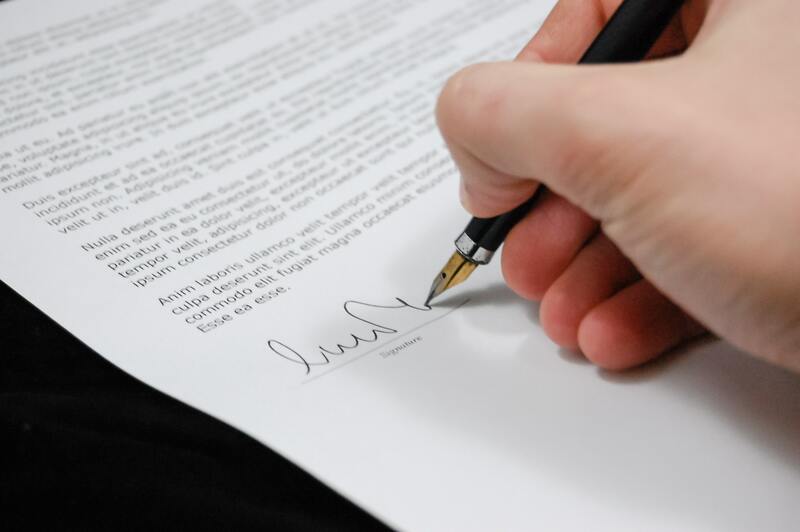 Ian owns and operates his own Consulting Engineering business in Bethersden, specialising in drainage and water resources. Much of his work has been in the international arena but he also assists local communities in which he has always taken a keen interest. He helps to promote and secure what is best for the community. 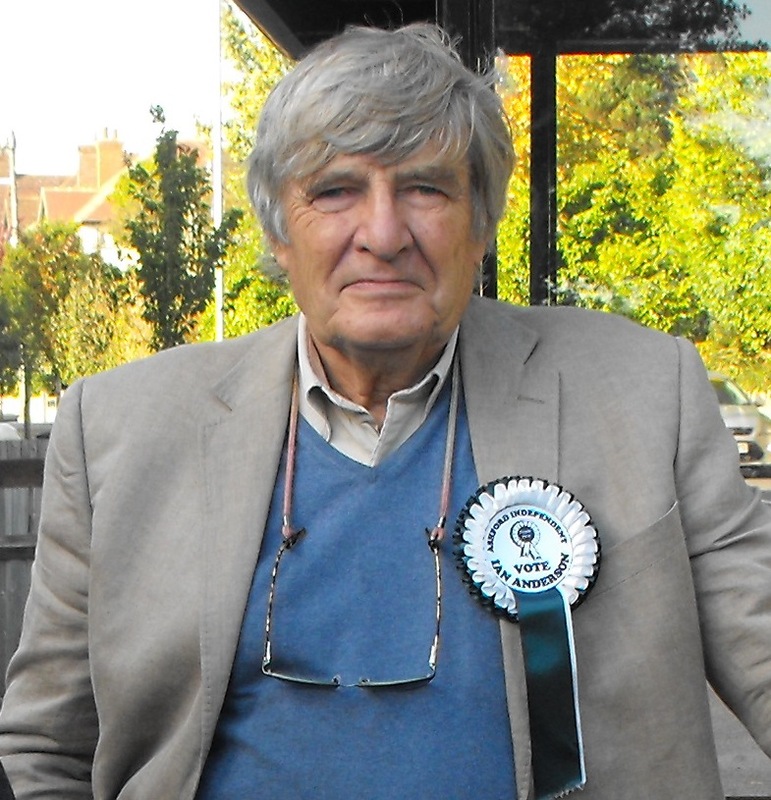 Ian currently acts as a voice for residents of Bethersden and Chilmington Green and provides expert advice to Shadoxhurst and Hamstreet to ensure that prior consideration is given to guarantee adequate infrastructure consideration, such as flood control, good drainage, is given to all developments. Large-scale developments must manage not only for their own flood water runoff, but also consider the impact in and out of adjoining areas – sadly this is often overlooked. These are key considerations for residents in Kennington given the planned proposed developments in this area and neighbouring areas. Ian is familiar with key issues and challenges facing Kennington residents as Ian has been following them closely through regular meetings with Cllr Winston Michael (Ashford Independent, Boughton Aluph and Eastwell). Ian believes that he has the skills and knowledge to represent the concerns and aspirations for Kennington residents. Ian feels passionately that so much uniquely beautiful and productive farmland should not be sacrificed in the race to build houses. 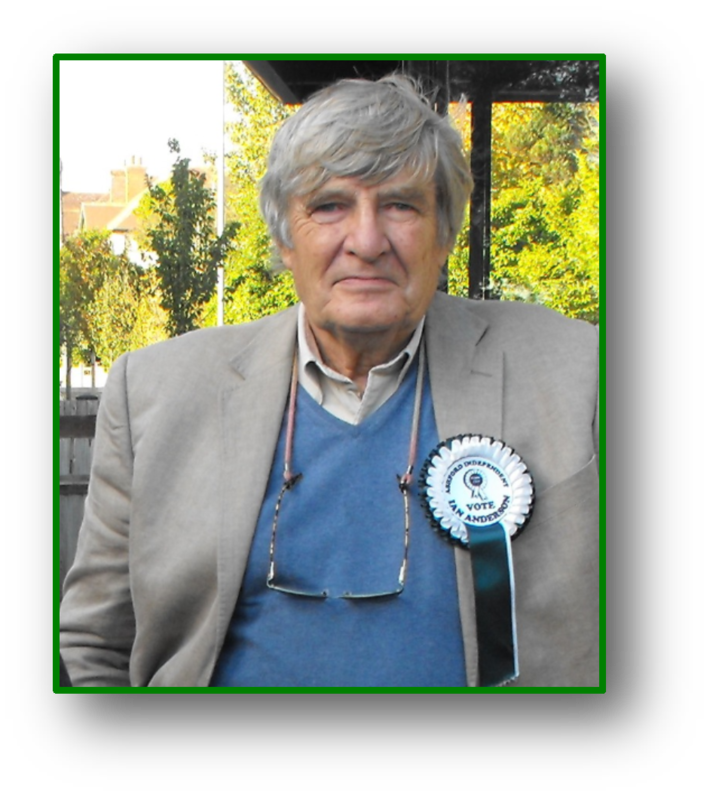 Equally Ian feels deeply that urban areas such as Kennington Conservation area and surrounding green spaces with special landscapes are precious and must be kept. 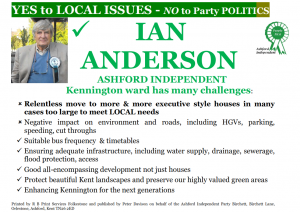 Ian is already working with communities and demonstrating that he puts resident issues first and foremost. A can-do attitude is fundamental to his thinking and he never shirks to tackle thorny issues to get the right result. Listening is high on his agenda and something that he considers is vital to properly representing residents. 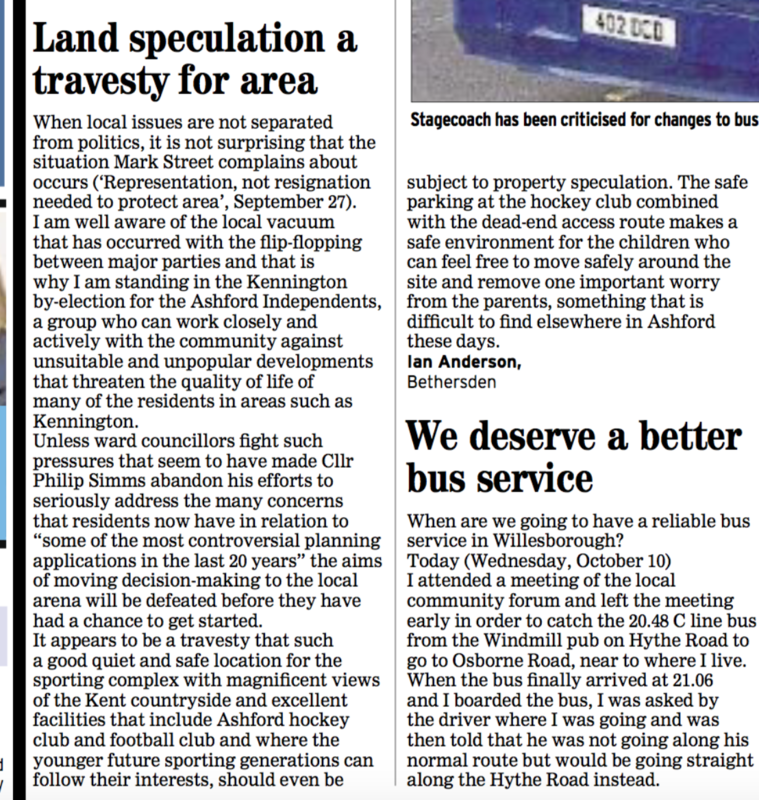 Ian will always provide a quick response on matters raised by the residents. 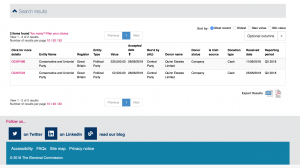 How does Ian support the Communities? Ian has championed local communities that can benefit from his expertise especially challenging the technical basis of problems associated with inappropriate and sizeable new developments. Trying to ensure that all developments are GOOD and overcome the lack of affordable housing for those who work locally in both Urban and associated rural communities. Ensuring adequate attention is paid to improving Urban and other infrastructure that serves these communities. Ian wants to help them to democratically express their views. 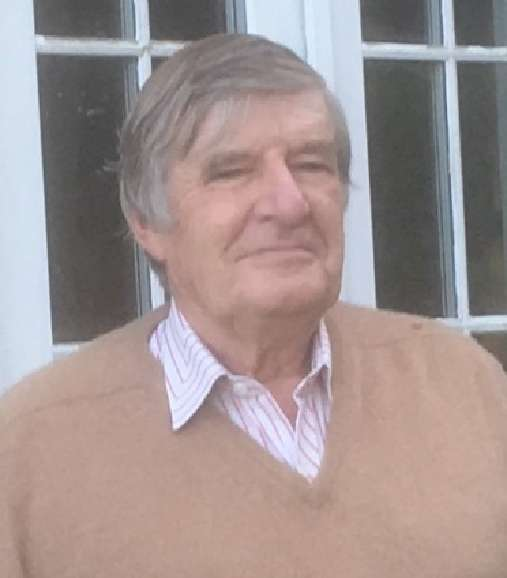 As a Bethersden Parish Councillor Ian has contributed materially to local Parish affairs to ensure that drainage, Highways and land management concerns are raised and resolved. This has taught him to effectively engage local government on behalf of the residents. 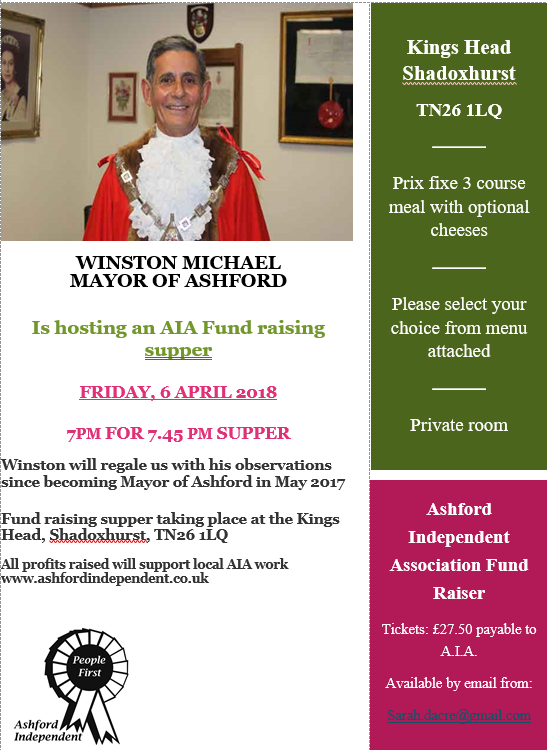 22 Ashford Independent members joined the Spring Supper in April and enjoyed a delicious meal at the Kings Head, Shadoxhurst. The Mayor, Winston Michael regaled the group with stories from his exciting year as Mayor. 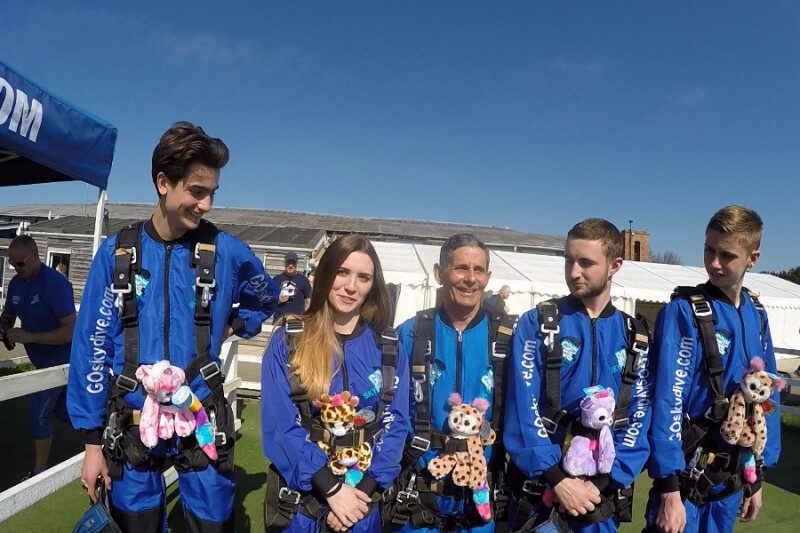 A parachute jump from 15k feet over Hampshire with 4 young people generated funds to buy a new school bus for the Wyvern School Ashford, named the Dream Maker. Other fund raising activities generated funds to buy a Panna Football Cage to take out and have fun in young peoples own backyards and build a huge patio area for children at the Stanhope Community Hub. Winston is passionate about helping all young people regardless of their personal circumstances as you can read. 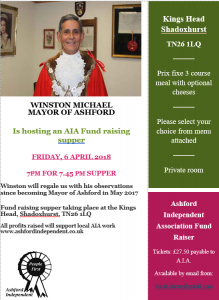 And he has projects on the go for rough sleepers and the homeless, and the possibility of a cycle ride to Ashford twin Town Fougeres accompanied by disabled children.